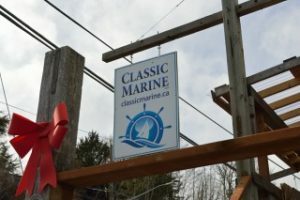 Welcome to Classic Marine in historic Cowichan Bay! We operate a full marine chandlery supplying the boating community in the Cowichan Valley including Duncan, Cobble Hill, Mill Bay and Maple Bay. Classic Marine Ltd. is a Canadian-based privately held company located in historic Cowichan Bay, British Columbia. We have been in business since 2003 servicing local boaters needs by providing quality new and used marine gear along with great nautical gift ideas. We aren’t happy unless you are happy! We offer only quality products that we know to work because we have used them ourselves or our customers have recommended them. Our used selection is of equal quality (and often rarity). We are not happy unless you are happy! Rest assured that you can buy with confidence from us and if you are not satisfied with your purchase we make it easy to return your purchase to us. Rick Carpentier is the owner of Classic Marine and has a deep love for all things “Nautical.” Rick spent many a year as a young boy fishing in Cowichan Bay with his grandfather Onni Parta and his dad Art. 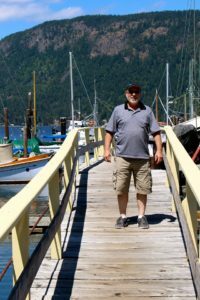 Boating has been a passion all his life, from spending many years on the Water Ski circuit skiing in many BC Summer Games, BC Provincials Westerns and Nationals, to just cruising the Islands. The love of sailing runs deep, having owned a Tanzer 26 for many years, sailing the Gulf Islands, and racing at all the local regattas. He also had the pleasure of sailing a Benateau 42 for a couple of years until the drag race track called him and his daughter Danielle back to land. Boating, fishing, and anything water related is still a passion and love. When it comes to marine supplies and the boating industry Rick has many years of experience and will be happy to help you with all your marine needs. Along with his wife Debra, we “Welcome You Aboard”! Kim Bosence works behind the scenes to keep Classic Marine running smoothly on the administration side of things. She has experience running her own business and is a devoted professional Mom. Classic Marine focuses on providing quality marine supplies, nautical gifts, and curios for recreational boaters and anyone else who is nautically inclined. Whether you are doing annual maintenance on your boat or restoring a classic wood boat, we can help!